Here are my tips - the Do’s and Don’ts of shooting a gender reveal photo shoot! Ok, enough about my personal reasons for why I didn’t do as much as I could have… Here are the do’s and don’ts! As I said, I was scrambling when I realized they were about to open the box and my batteries were about to die at the same time. I wish that I took note of the lighting of the location of the reveal beforehand so I could set it to that right away. I came from a very bright hallway where I was taking pictures of people coming in and greeting them, so the SOCC turned out completely dark (see below) since I didn’t really change the shutter speed going into this darker room. Thank goodness for modern picture developing technology! I was able to save the reveal pictures! Similarly, don’t forget to check out where they will be doing the reveal, and decide where you should be standing to take the photos. These tiny details are so important because you are mainly there to capture this exact moment! If you don’t nail these shots, it will be a big disappointment. I used my love - 85mm 1.8 - throughout the event but I do wish I had the 24-70 on a second body also. Why? Mainly because I was shooting at 2 different settings. One was bright outdoors/doorway and second was inside. I wish I set the 85mm camera for the outdoor/doorway shoot since I was standing in one place shooting the same location, and set the 24-70 for the indoor setting where I was taking more candid photos of everyone talking and event details. Mainly also because this way I didn’t have to scramble every time I went in and out. If your mom-to-be even has a little bump, try to take pictures to emphasize that! It could be your sneak-peak to what you can do to show off that bump, which could lead to future booking! Like I mentioned before, I didn’t focus too much on the details of the event or candid people interacting this time because I was first and foremost the sister of the mom-to-be and hostess of the event. However, the few pictures I have of the details really tell the story of the event. Don’t skip on this! Not only would everyone who attended would like to see the pictures, but it’s a great way to build your referrals and brand awareness! Pregnancy can be contagious, once one friend gets pregnant, it’s like a domino affect. Make sure you are in the path of the chain reaction! 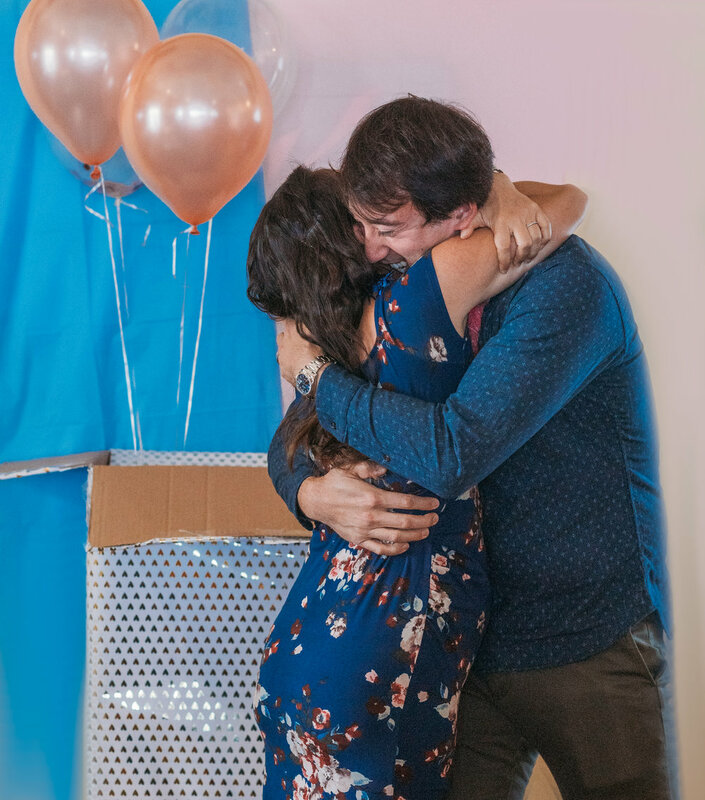 Here are the do’s and don’ts that I learned from shooting a gender reveal. This is a pretty special type of event that isn’t too common but it is such a special time for mom and dad to be. It really gives direction to the rest of their pregnancy and planning for a new baby. This party had lots of tears of joy, and I was so happy to be there. I’m going to have a niece!!! Do You Like This Post? Save it for later! Here is a Pinterest ready image!